Athens, Greece – Each morning, Dimitris Chalkitos wakes up, scans the internet for job openings and sends his resume to potential employers. He then walks around Sourmena, the beachside Athens suburb where he lives, and searches for “help wanted” signs at restaurants and retail stores. The 22-year-old engineering student has repeated this daily routine for more than a year, hoping to find work and help his debt-saddled family. Sitting in cafe near a main square, he tensed his face while recalling printing his resume, handing it in to a nearby department store and receiving a familiar response: He didn’t have enough work experience, the manager told him. But work experience is hard to come by in a country where four out of 10 young people are unemployed and where the economy is still in shambles after nearly a decade of financial trauma, austerity measures, tax hikes, pension cuts and massive bailout packages. On August 20, the Greek government and its European partners celebrated the end of Greece’s catastrophic crisis. 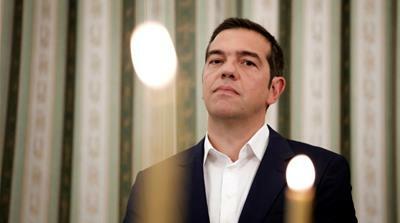 The following day, Prime Minister Alexis Tsipras applauded a “day of redemption” and “the start of a new era”. “The bailouts of recession, austerity and social desertification are finally over,” he declared. The overall unemployment rate sunk below 20 percent last month for the first time in seven years, down from its climactic peak of 27 percent in July 2013. And although youth unemployment is far below the 60 percent it reached in February 2013, few job opportunities and meagre wages have left many young people with little cause to rejoice. “When the country doesn’t give you anything, you can’t give anything back to it,” Chalkitos said. Chalkitos was 13 years old when the global economic crisis first reached Greece in December 2009, when the downgrading of the country’s credit rating led to public spending cuts. 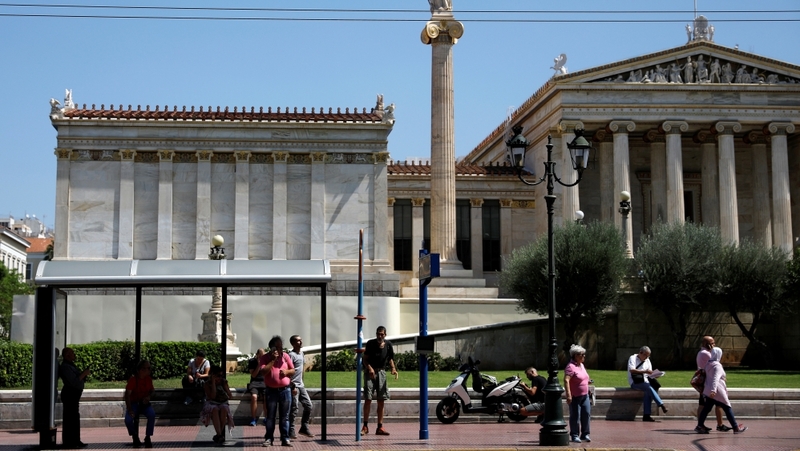 As fears that Greece would default on its debt swelled, the centre-left Pasok-led government implemented more austerity measures in 2010, sparking protests in the streets of Athens, Thessaloniki and other cities. In the years that followed, the crisis deepened, and Chalkitos’s parents, both public school teachers, were forced to scrabble together what they could and tighten their belts where possible: worries about bills seeped into every dinner-table conversation, going out to restaurants was no longer affordable and holidays were rare. In January 2015, the left-wing Syriza party came to power after campaigning on promises to do away with austerity. But those measures continued largely unabated. Nikos Xydakis, a Syriza parliamentarian, acknowledges the challenges ahead, but maintains that the government has made progress since his party’s ascent three and a half years ago. “There are hundreds of thousands of young people in their early thirties without decent job [prospects] since graduating school or university,” he told Al Jazeera. Formally exiting the crisis is one thing, but the impact of the last nine years will be long lasting, according to several politicians and analysts. The financial meltdown decimated a quarter of the country’s economy, minimum wage shrank, tens of thousands of businesses closed, thousands of factories shut down and more than 300,000 people emigrated to find work abroad. Xydakis explained that the government is now considering a series of measures to lighten the burden on working-class Greeks. The exit “won’t be easy”, he said. Twenty-four-year-old Yiannis Pappas, who three years ago graduated with a degree in 3D animation, has bounced from one short-term job to the next. Currently unemployed, he was laid off several times and has had little luck finding employment in his field. “It’s a Greek reality,” he told Al Jazeera. Like others before him, he moved to Sweden for work, but returned seven months later after struggling to find sustainable employment. Many of his friends are searching for opportunities elsewhere in Europe, Pappas said, explaining that he, too, is now exploring the possibility of moving to Germany to continue his education and find work. Just 15 when the crisis started, Pappas says many young Greeks have abandoned their hopes of finding the jobs they once aspired to. Back in the Sourmena cafe, Dimitris Chalkitos sums up his feelings. With politicians lauding a new era, Chalkitos sees more hardship ahead. Previous articleCrazy Rich Asians: The return of Sham-East Asia?